Rahul Jain, one of the most promising singers to come out of Bollywood in recent years will grace the stage at Sibaya Casino and Entertainment Kingdom in the New Year. The fast-rising performer will appear at the iZulu Theatre on January 19 and 20, 2018. Fans can look forward to a captivating showcase of authentic Bollywood music with a contemporary twist. 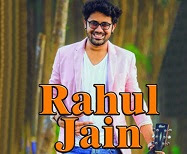 Best known for his take on the classic Tere Jaise Yaar Kahan from Yaraana, and with over 35 million views across all social media platforms, Rahul Jain is undoubtedly the next number one singer in Bollywood.